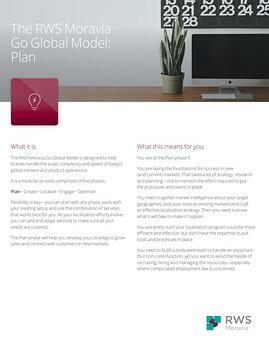 We have broken down the whole process of globalizing your product and content into five distinct phases. And we have put together documents for each to explain how we can help you succeed. Complete the form below to see how we can help with the Plan phase.